Exotic Ebony Finished wood carvings adorn the Jefferson Collection. Featuring gentle rolled arms, scalloped wood feet, and correlating pillows with a matching fringe, the Jefferson makes a statement all it’s own! 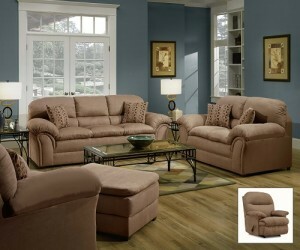 Enjoy the comfort of the Jefferson Collection while it adds a splash of style and opulence to your home setting.